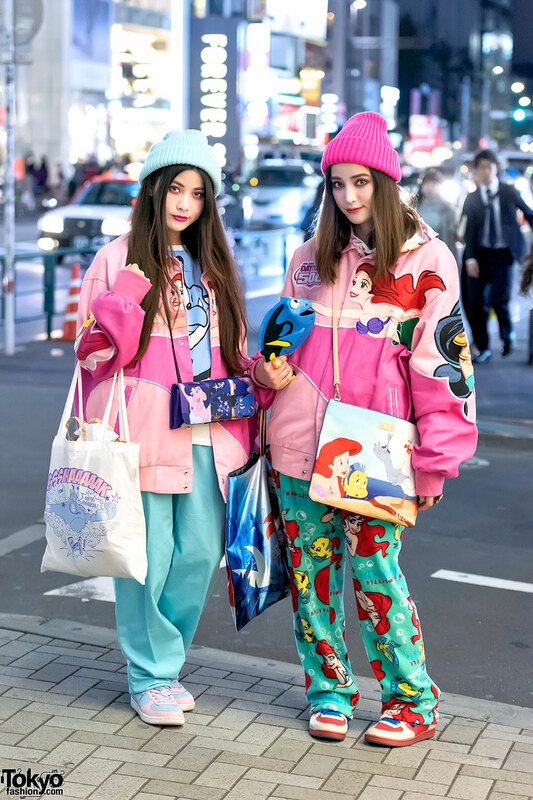 Harajuku girls in twin tails, cupcake t-shirts, plaid skirts, backpacks, princess necklaces, and matching jewelry. Panama Boy staffer on the street in Harajuku wearing a vintage outfit featuring pink “Princess” earrings and a tote bag from Mouse Rabbit cafe in Korea. 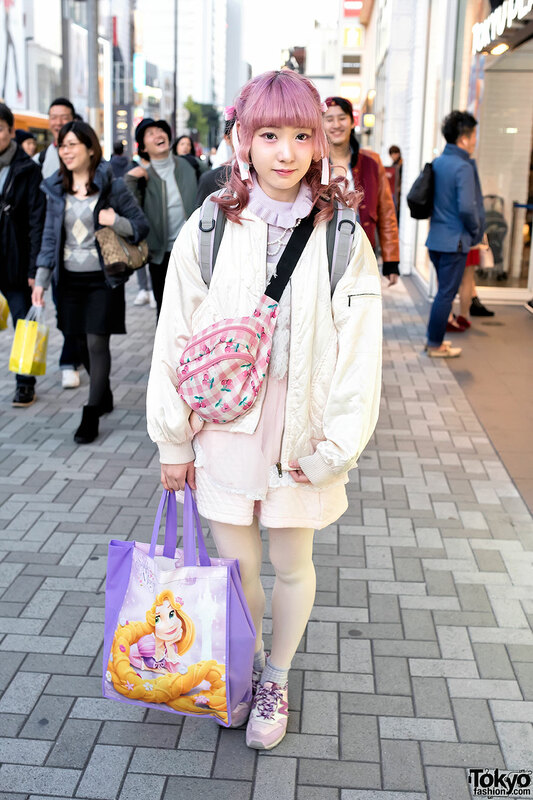 Harajuku girl in a princess street style with items from Swankiss along with glitter makeup and a tiara. Harajuku girl wearing silk bomber jacket over a pastel top, a pleated skirt, New Balance sneakers, and a cherry print shoulder bag.